Joe Smith was reinstated from the 10-day DL on Tuesday, Brian McTaggart of MLB.com reports. 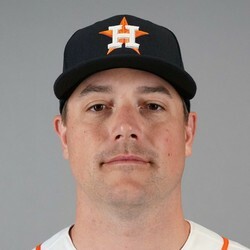 Smith has been on the disabled list with an elbow injury, but after a pair of rehab appearances in the minors he is ready to rejoin the Astros bullpen. In 23 appearances this season, Smith owns a 5.49 ERA and 1.12 WHIP. Those numbers speak to his lack of fantasy relevance.